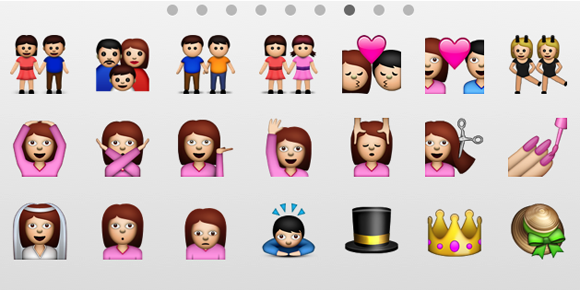 Coming in iOS6 messaging to an iDevice near you soon - gay and lesbian emoji icons. So sweet. Shame neither the gays nor lesbians are smiling though.